Artworks and musical instruments demand a special approach. 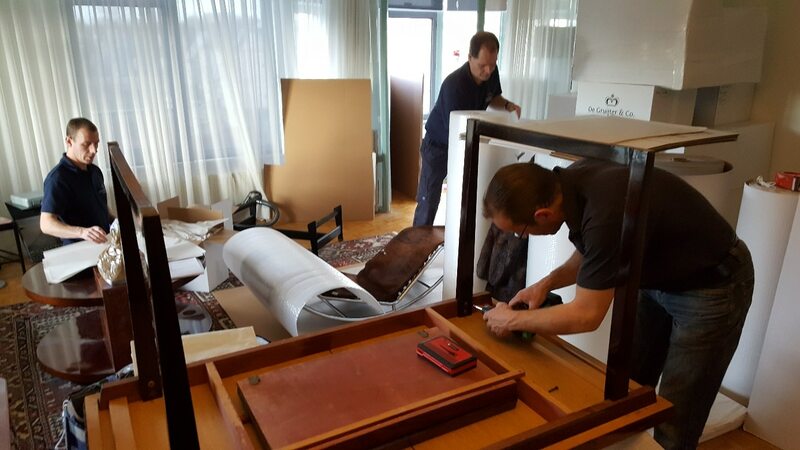 The process involves far more than simply transporting an item from A to B. Every item is unique and calls for its own procedures, marked by an exceptionally high level of care and attention. Royal De Gruijter & Co. has staff who specialize in this type of assignment. Their training and long experience enable them to advise the customer on the best approach in each case. Our staff are thoroughly familiar with the specific properties and uses of all types of packaging materials, and keep abreast of the latest developments in this field. Having determined the best possible packaging material for your artwork or instrument, we will produce a custom-made protective container. We have our own workshop that can manufacture crates and containers at short notice. We are alert to innovations and are constantly looking for new ways in which to ensure that valuable items are thoroughly protected at all times.